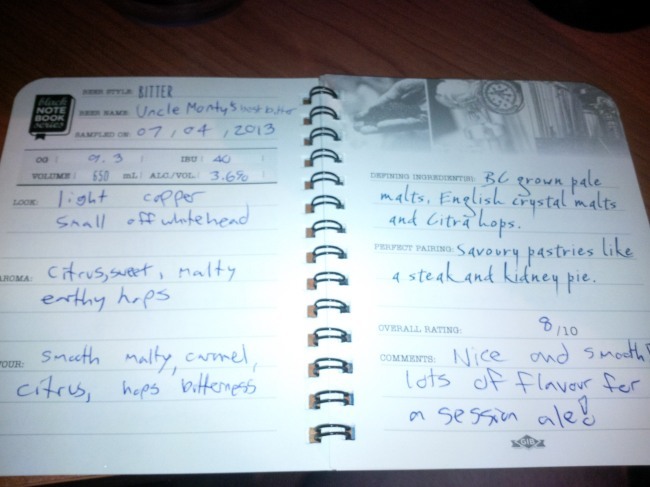 From Granville Island Brewing out of Vancouver comes their new “Uncle Monty’s Best Bitter” the newest addition of the Black Note Book Series form Granville Island’s Vern Lambourne. The Bitter pours a light copper colour with an off white head. The aroma is of citrus, sweet malts and some earthy hops. The flavour consists of smooth malts, caramel, citrus and some hops bitterness. The alcohol content of this brew is 3.6% with and IBU of 40. This beer is nice and smooth. 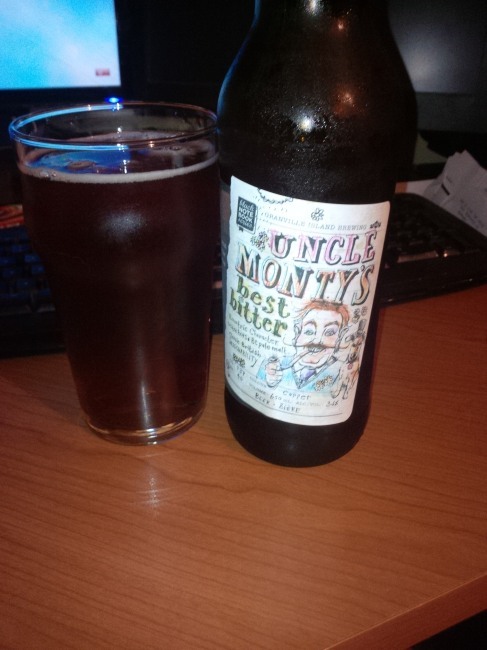 For a session ale this beer has a ton of flavour which was a huge surprise! Commercial Description: This single hop session bitter has big flavour but low alcohol. Maris otter pale and English crystal malts with citra hops create a bold body and refreshing bitterness you’ll want to session again and again. Food Pairing as per brewery: Balance of bitterness and malt works great with savoury pastries like a steak and kidney pie. This entry was posted in Extra Special Bitter, Session Ale and tagged bc, best bitter, bitter, bitterness, canada, caramel, citrus, granville island, granville island brewing, malt, malts, malty, mild hops, mild hopy, session, session ale, smooth, vancouver.